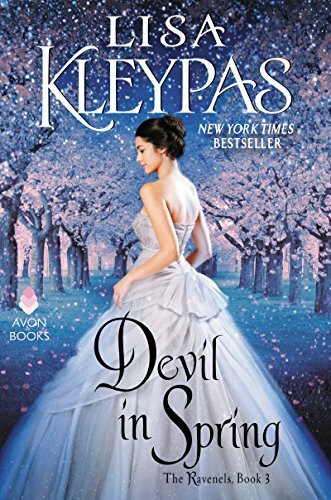 New York Times bestselling author LISA KLEYPAS delivers the unforgettable tale of a strong-willed beauty who encounters her match in one of London’s most notorious—yet irresistible—rakes . . .An eccentric wallflower . . .Most debutantes dream of finding a husband. Lady Pandora Ravenel has different plans. The ambitious young beauty would much rather stay at home and plot out her new board game business than take part in the London Season. But one night at a glittering society ball, she’s ensnared in a scandal with a wickedly handsome stranger.A cynical rake . . .After years of evading marital traps with ease, Gabriel, Lord St. Vincent, has finally been caught by a rebellious girl who couldn’t be less suitable. In fact, she wants nothing to do with him. But Gabriel finds the high-spirited Pandora irresistible. He’ll do whatever it takes to possess her, even if their marriage of convenience turns out to be the devil’s own bargain.A perilous plot . . .